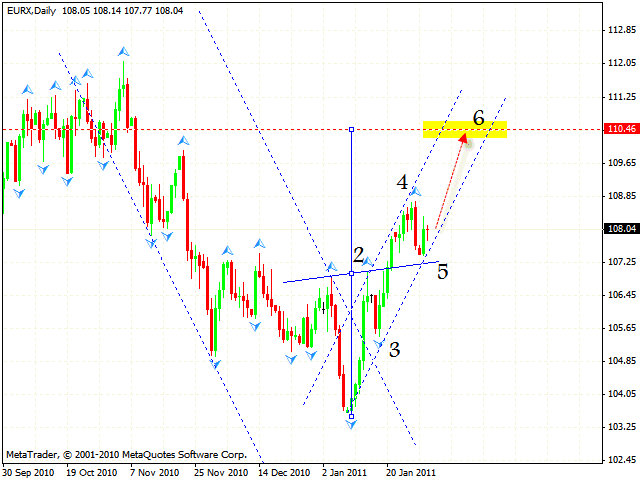 HomeFor ClientsAnalyticsForex Analysis & ForecastsForex Technical analysis and forecastsForex Technical Analysis 2011/02/02. Euro Index, EUR/USD, GBP/USD, GOLD Forecast FX. Forex Technical Analysis 2011/02/02. Euro Index, EUR/USD, GBP/USD, GOLD Forecast FX. In case of Euro Index we have a situation which is in favour of Euro’s growth. At the daily forex online chart we can see that “head & shoulders” reversal pattern with the target in the area of 110.46 has been already formed. Currently the price is in the area of the 5th point of reference, where we should expect Euro Index to continue moving upwards. 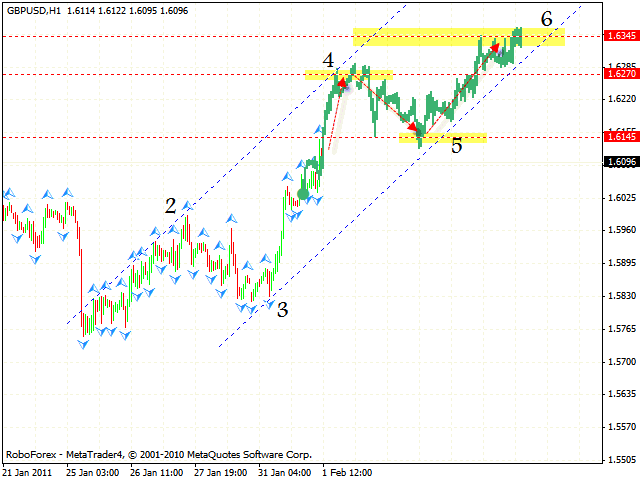 The EUR/USD currency keeps moving according to the eur usd analysis. The final targets remain the same. 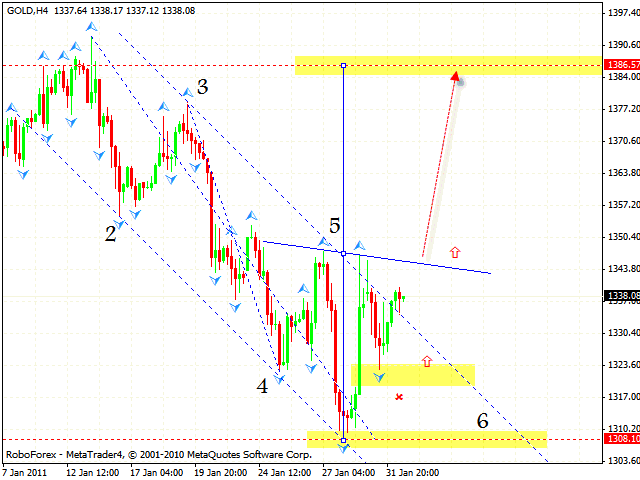 At the moment one can try to buy the pair with the target in the area of 1.3840. The stop must be below 1.3695. If the price breaks the rising channel, this case scenario will be cancelled. Pound is also moving according to the gbp usd analysis. The first target has been reached, we should expect the price to keep moving upwards. 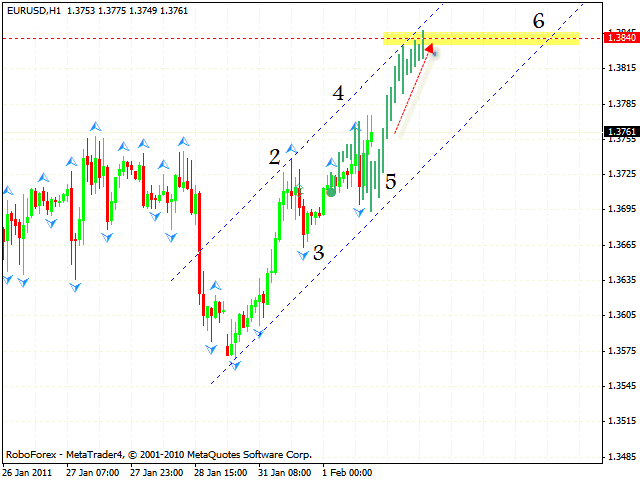 At the hourly chart of the pair we have the symmetrical pattern forming with the main targeton the area of 1.6345. The closest target of the growth is the level of 1.6270. At this level the pair is expected to be corrected to the channel’s lower border, 1.6145, and then to start growing again. In case of GOLD we can see that formation of “head & shoulders” reversal pattern is almost finished. We must wait until the neckline is broken and expect the price to grow into the area of 1386. The stop must be below 1320.